Make Peace with Your Diabetes, Balance your Blood Sugars, and Find the (sugar-free) Sweetness in Life! 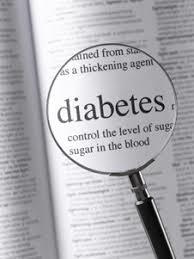 Do you struggle to make peace with diabetes (prediabetes, type 1, type 1.5, type 2)? Few conditions create so much responsibility for daily choices as diabetes. This is a condition that is 99% managed by the person living with diabetes, and yet – “life” can often get in the way of ideal diabetes self care. Too often, this can create a difficult cascade that includes feelings such as shame and guilt, anger, withdrawal, denial, rebellion (against self, against medical providers, against “diabetes police”). It IS possible to make peace with diabetes!! And we are here to help. Heather truly knows the challenges and emotions that accompany diabetes. She has been living well (but not perfectly!) with Type 1 diabetes since 1997. Heather has worked in several medical settings on integrated care teams, spoken to and provided training for large groups of professionals and patients, developed and taught mindfulness curriculum specifically for the diabetes population, run her own private counseling practice and co-hosted a podcast dedicated to transforming diabetes. With decades of experience in diabetes education, counseling and coaching, she brings a supportive, empathic and encouraging wisdom and approach to her clients. Contact Heather directly if you are a person with diabetes interested specifically in diabetes education and psychosocial services, or if you are a professional with diabetes and would like to have her speak to your group of professionals. eMindful course: Better Living with Diabetes – a 4-week, online, mindfulness-based diabetes course – wonderful for someone new to diabetes, or someone dealing with diabetes burnout ready for some change and inspiration.